By TVBoxStop on	 January 23, 2017 2017 TV boxes, Android 6.0 TV Boxes, DDR4 TV Box, Dual HDMI TV box, Kodi 16.1, Quad Core TV Boxes, RTD CPU TV Boxes. 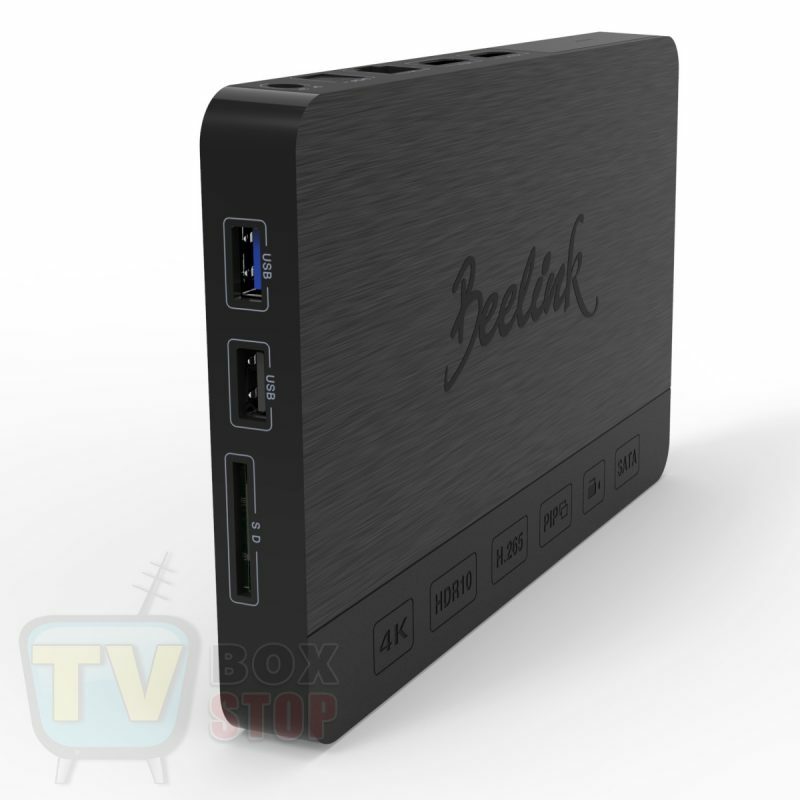 The Beelink SEA I Realtek RTD1295 Quad Core DDR4 Android 6.0 TV box, is Beelink newest TV box released on the 20th Jan 2017. This new box has a whole new concept than other TV boxes. 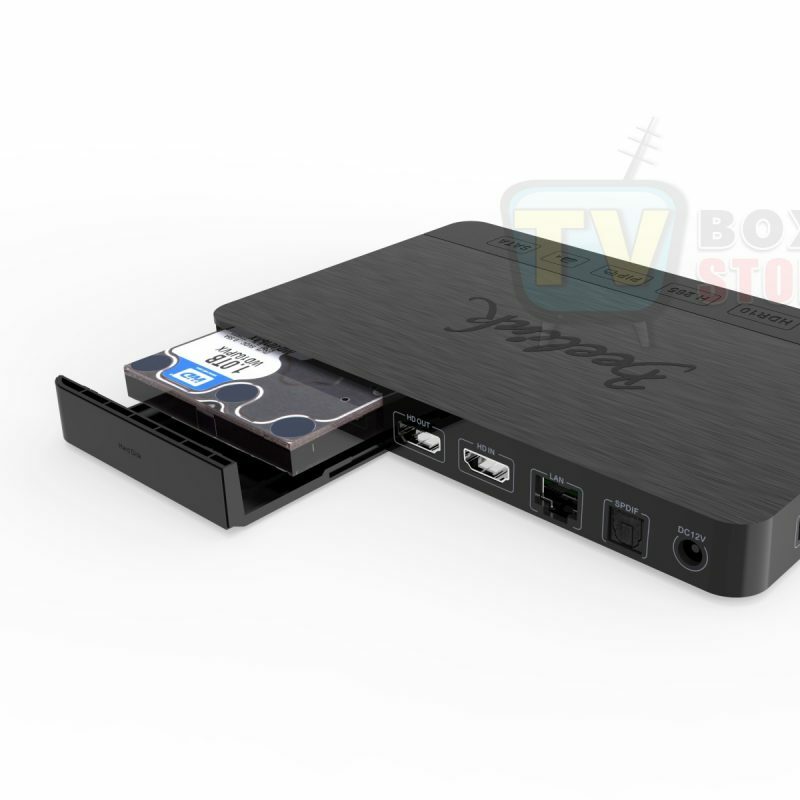 Beelink has sort to solve the demands of many TV box users by introducing some new hardware features and IO options. In this model Beelink used the Realtek RTD 1295DD Quad Core Cortex A53 CPU running up to 1.4GHz. Unlike its Amlogic counterpart, the Realtek 1295DD has support for both Android and OpenWRT. However, the Beelink SEA I only comes with Android OS. Another different feature the Realtek CPU has is PIP recording via HDMI input port. 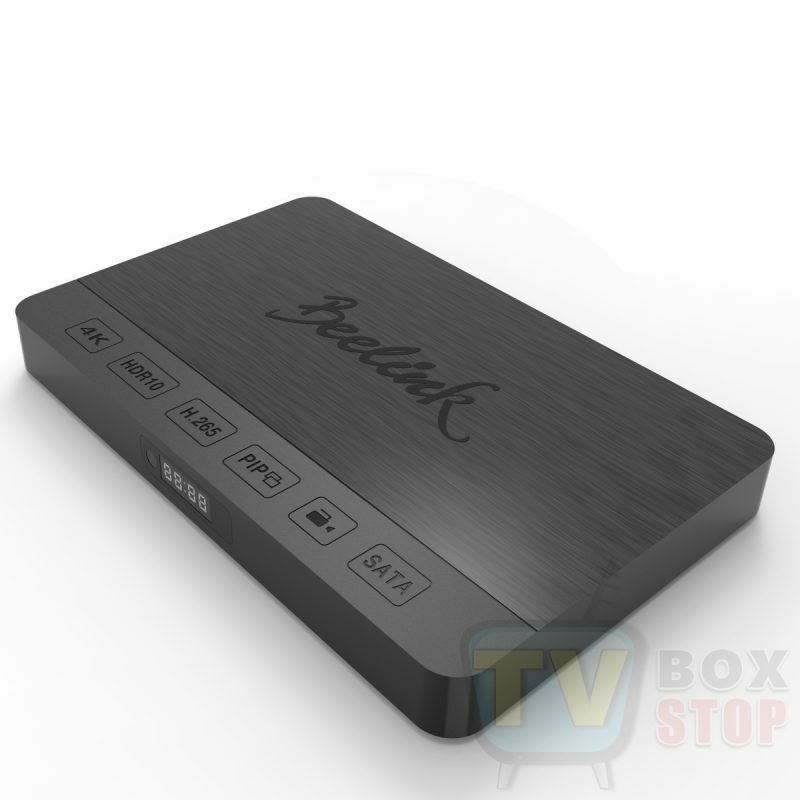 This allows you to use the box as a DVR for recording and storing media from various devices such as, camcorders, DSLR Cameras, Blu-Ray Players for those who like to rip movies, even record video from another TV Box. Now that is going to require massive storage capability. Beelink has taken care of that too. The Beelink SEA I 3D graphics and 4K display is powered by the 2016 popular ARM Mali T820MP3 Tri core GPU running up to 750MHz. With support from the Realtek 1295DD CPU, the Mali T820 provides stunning 3D graphics, digital audio, and 4K display with decoders such as HD MPEG1/2/4, H.263, H.264, H.265, HEVC and VP9 decoding. The Mali T820 allows the Beelink SEA I to play 4K videos at 60fps 10bit formats. When it comes to memory and storage, this is where the Beelink SEA I shows off some really cool features. 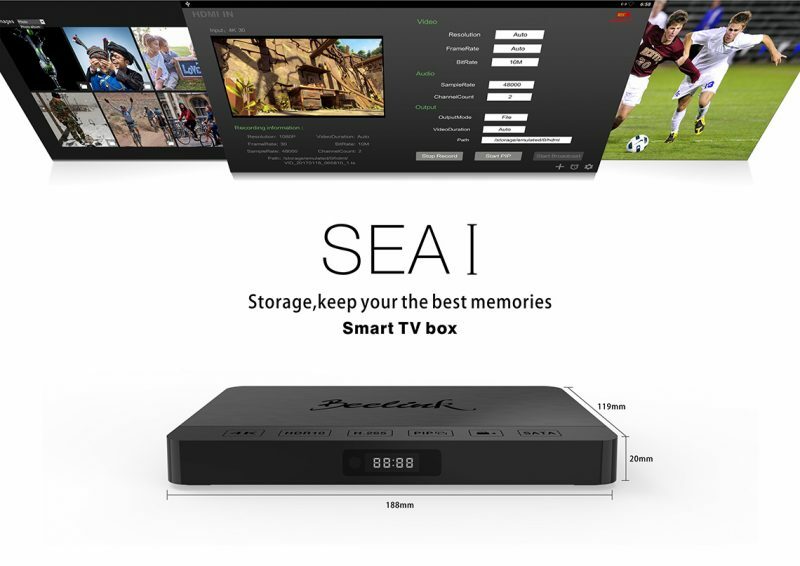 Because this box can be used as DVR you need massive storage and performance capabilities. Because 4K content is really large in size, and the regular internal storage of TV boxes cannot handle that volume of content. 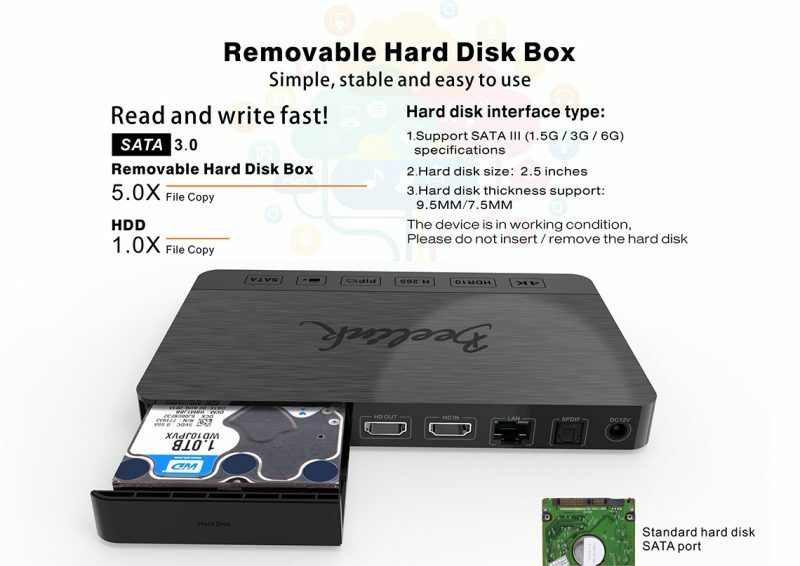 So to solve that issue the Beelink SEA I comes with a 2.5 inches SATA HDD/SDD docking bay, where you can install a removable hard drive or SSD drive for storage in what ever Terra-bites (TB) size of hard drive you want. 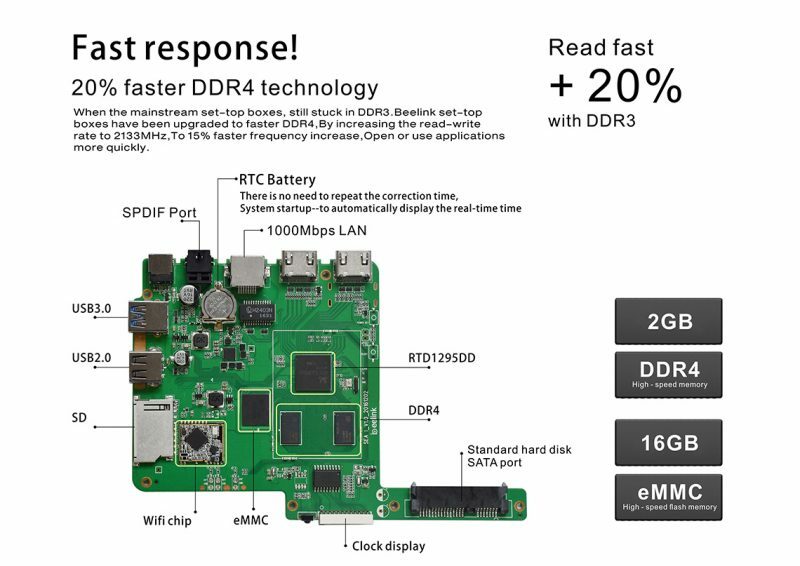 Also the Beelink SEA I comes with 2GB of DDR4 RAM and 32GB of internal storage. On top of that, you get convertible storage on Android 6.0, so imagine what you can do with all that storage capability. For WiFi and Internet connectivity, the Beelink SEA I comes with Dual Band 802.11 AC 2.4GHz + 5.8GHz WiFi and bluetooth 4.0. 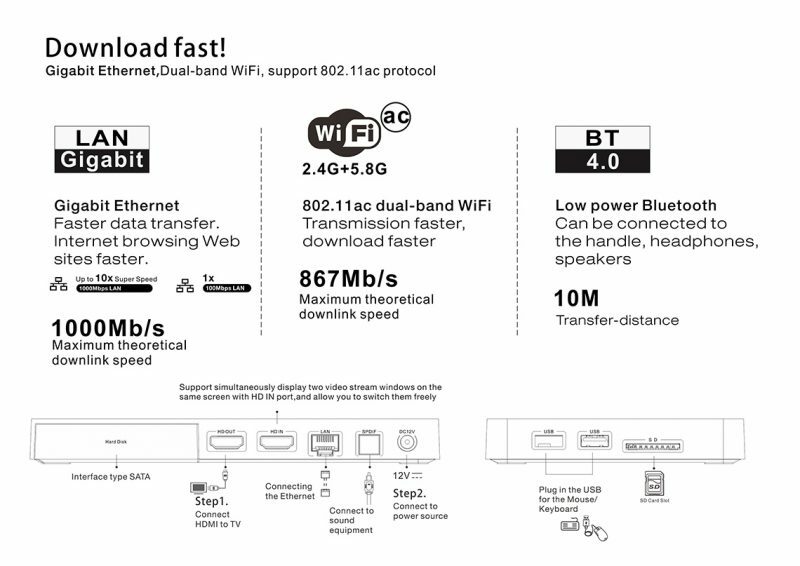 It comes with GB Ethernet LAN of 1000 MBp/s. You also get casting features like Miracast, Airplay, and DLNA. 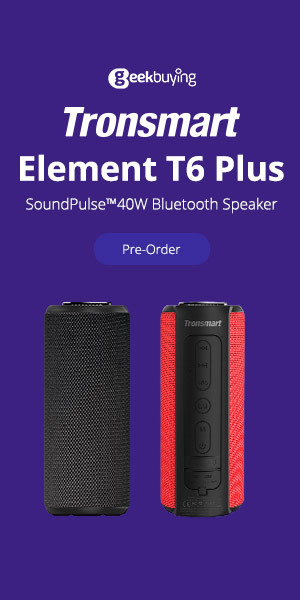 On the Beelink SEA I mainboard, there is an RTL battery, or real clock battery, same as the ones used on PC motherboards, So There is no need to repeat the correction time in the system settings when you start up the box, to automatically display the real time. The Beelink SEA I has added a couple new features to the IO connection interface. 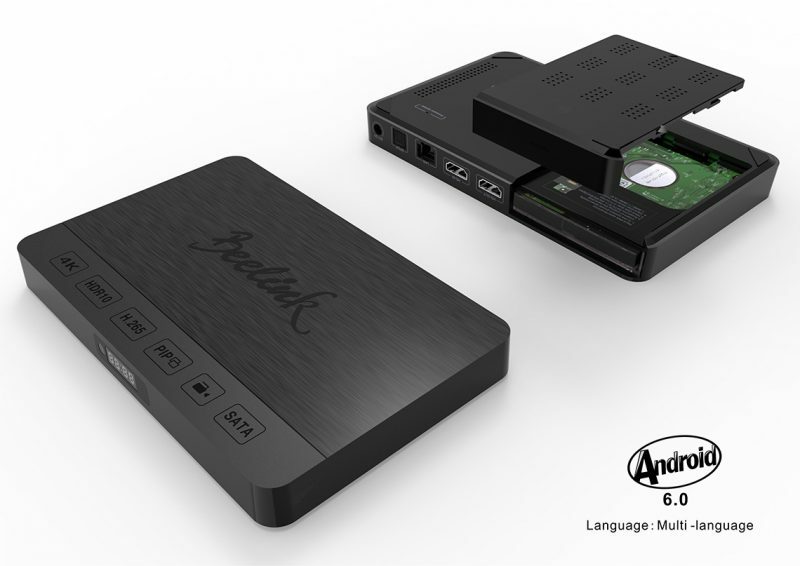 The Beelink SEA I runs on Android 6.0 Marshmallow, and presents features like faster operating speed than previous versions, the ability to convert external storage to internal storage (convertible storage), custom permissions for individual apps, this saves on system resources, smart file type association, and custom UI display. 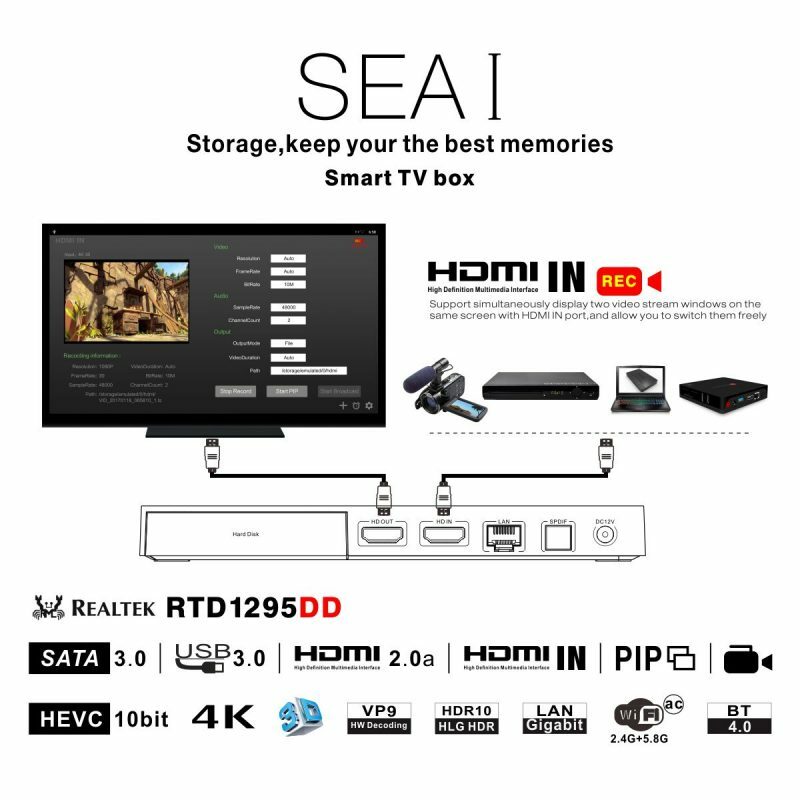 The SEA-I comes with preinstalled with Kodi 16.1 Jarvis, and preinstalled with music, and movie addons for your enjoyment. I am happy to report that Beelink’s support team released a number of firmware updates, the last one fixing all these issues highlighted. The box ran really well after the update and root was granted. I was able to install my benchmarking apps and these are the results below.